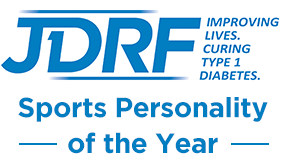 QIC People's Award - 2012 Winner | Life, Sport and Diabetes - An everyday look at my life with type 1 diabetes. The previous blog 'Quality in Care People's Award Nomination' was all about putting forward those people who had inspired you with your diabetes, gone above the call of duty or helped you manage your care. The blog was all about how to show your appreciation, through nominating them for the award. But I also thought it would be really interesting to find out a little bit more about last years winner, and what they did to achieve such a awesome accolade. 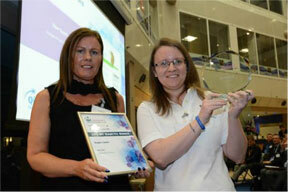 The winner of the QIC People's Diabetes award for 2012, and only the second ever winner of the prestigious award was 'Hedgie Pricks Diabetes' creator Zoe Scott. 'Hedgie Pricks' are an organisation that has been working towards providing emotional support for people with diabetes. Especially within the diabetes online community (DOC). Zoe has worked on many projects since receiving the award, including speaking at the professionals conference sponsored by Diabetes UK held this year in Manchester. The name 'Hedgie Pricks Diabetes' is for the days when you have the condition, it's not going so well and you feel fed up so you want to hibernate. And also because people who have diabetes need to test their fingers, through a small finger prick regularly. Which relates to the idea of the hedgehog. The group were inspired by the lack of psychological care that can sometimes fail to be given by hospital teams and diabetes professionals. According to their great website, the team at Hedgie Pricks aim to improve the psychological care given by health care professionals. This is in the hope of helping people manage with the physiological side of diabetes then, through focusing on the mental. On a personal note this is a cause that I really agree with, and can relate to. As generally, I feel that my psychological well being is something that has never been asked after throughout my experience under 12 years of hospital care. I feel particularly strongly towards the psychological care of those in children's and adolescent diabetes clinic. The main reason being that at that age you go through so many transitions in such a short time, as well as trying to manage the diabetes. So I think that along with the medical team there should be a psychologist/ councilor there to support you through 'becoming an adult', 'making friends', 'going to uni' or 'going onto a pump' to help you cope with it. These thoughts were re-enforced by the fact that when I was in Italy, and speaking to the representatives from some of the other diabetes associations. I was surprised to learn that in areas of Europe, where people are paying for insulin and their diabetes supplies or are heavily restricted on what their able to have. Many of the diabetes clinics that they attended had a psychologist as part of their medical team. Which I thought spoke volumes. So thanks to the great work being done by Hedgie Pricks, the UK may be able to follow in their European friends footsteps and look after diabetes in the mind as well as in the body.